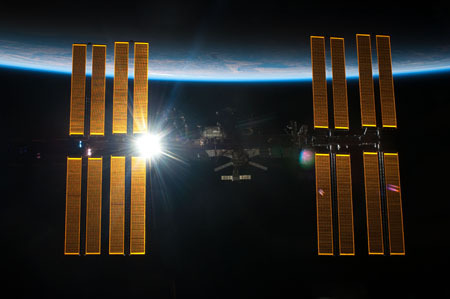 Colorado Springs, Colo., USA - April 1, 2013 - Boeing (NYSE: BA) is highlighting its latest achievements in human spaceflight and exploration, as well as satellites and cyber capabilities, during the Space Foundation's 29th National Space Symposium, April 8-11 in Colorado Springs. 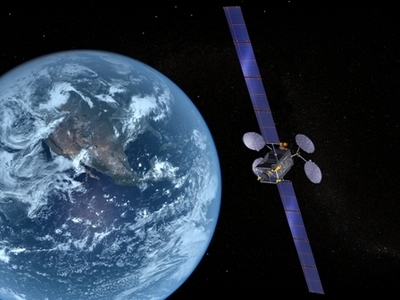 Boeing has been selected to build four 702MP satellites for Intelsat Ltd. 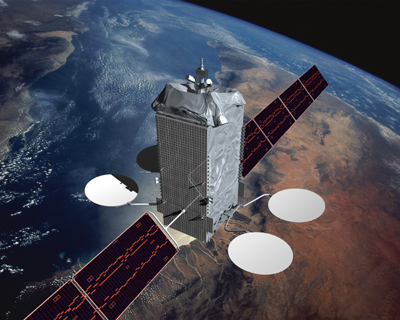 The contract marks the first order for the Boeing 702MP satellite, pictured here, which continues the technical and flight heritage of the Boeing 702HP family and enables Boeing to expand its product offerings to include flexible, modular satellites that operate in the 6- to 12-kilowatt power range. 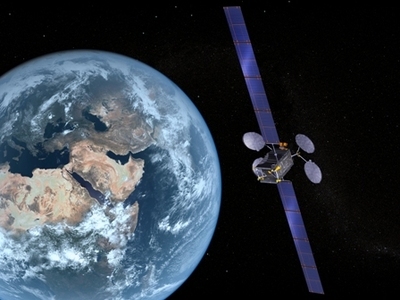 These satellites will distribute video, network and voice services from Asia and Africa to the Americas and Europe. Boeing (NYSE: BA) is highlighting its latest achievements in human spaceflight and exploration, as well as satellites and cyber capabilities, during the Space Foundation's 29th National Space Symposium, April 8-11 in Colorado Springs. 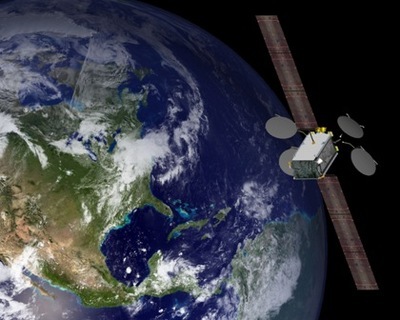 "We’re collaborating with our NASA, defense, and commercial customers to provide affordable, innovative solutions in space exploration, satellites and cyber operations," said Roger Krone, president of Boeing Network and Space Systems. "During the symposium, we'll talk about some of the advances that are shaping how we integrate new and previously proven technologies to meet those customers' needs." Also during the event, Boeing will sponsor the Gen. James E. Hill Lifetime Achievement Award, which will honor the late space pioneers Neil Armstrong and Sally Ride. It's the first time the award will be given posthumously. Armstrong, the first person to walk on the moon, and Ride, the first American woman in space, died last year. 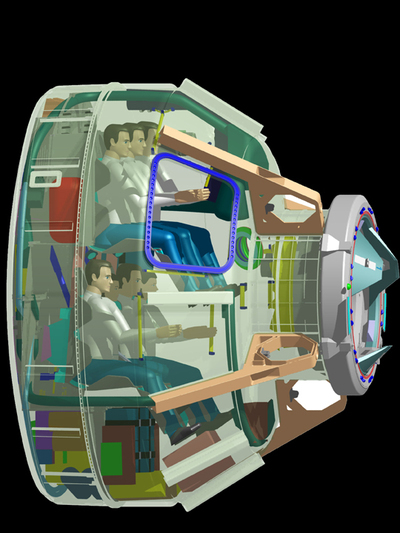 The Crew Space Transportation (CST)-100 can carry a crew of seven, as shown in this artist’s depiction. 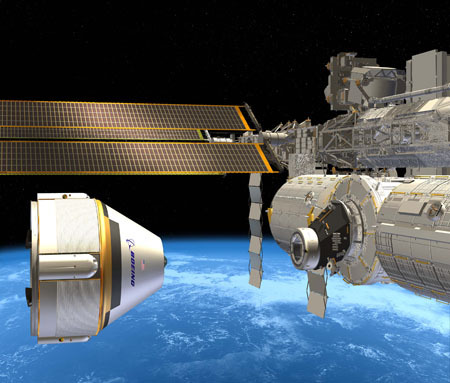 The CST-100 will use proven, yet simple technology. The Boeing exhibit at Booth 200 will include a full-scale model of the 702SP satellite and showcase current examples of satellite, cyber, and space technology advancements. 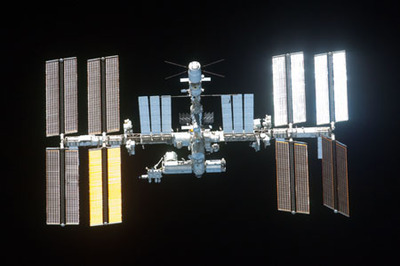 In the same way that Boeing helped launch commercial aviation decades ago, the company is working to develop what could become a true commercial space transportation system: a commercial service to take crew to the International Space Station and other destinations. 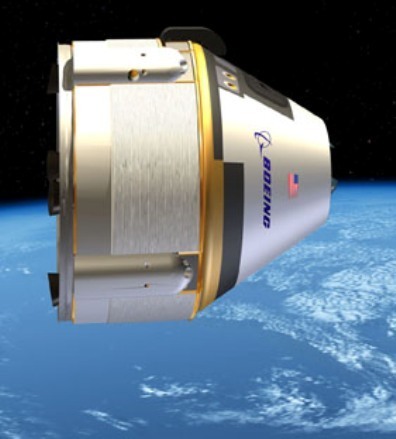 Shown here is an artist's concept of Boeing's Crew Space Transportation (CST)-100 spacecraft approaching the International Space Station. - Antonio Nucci, chief technology officer of Boeing subsidiary Narus - "Cyber 1.3 Panel - Humans Wanted? Humans Needed? The Future of Cyber," April 8, 3:30 p.m.
- Jim Simpson, Boeing vice president of Business Development for Space & Intelligence Systems - "Long Term Sustainability of Space: Practices for the Future," April 11, 8:30 a.m.
Boeing has demonstrated the dual-role propulsion features and performance of the Orbital Maneuvering Attitude Control (OMAC) engine on the service module for the company's Crew Space Transportation (CST)-100 spacecraft. The tests were conducted at NASA's White Sands Test Facility, N.M., as part of the second phase of NASA's Commercial Crew Development (CCDev) program. The OMAC engine provides thrust for orbital maneuvers and de-orbit burns, giving the crew precise control of the spacecraft. It also performs critical attitude control and steering functions in the event of an aborted ascent. contains program backgrounders, executive biographies, and a link to high-resolution photos. Reporters may contact the media relations representatives listed below to schedule interviews with Boeing executives at the show. 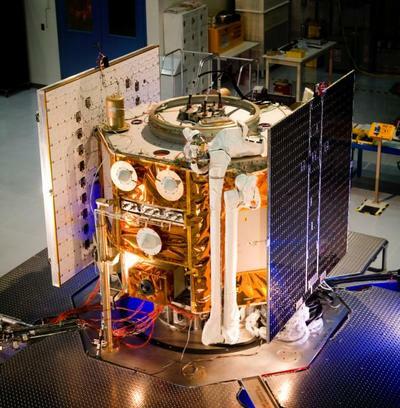 Courtesy of Boeing image / Ball Aerospace & Technologies Corp.
Headquartered in St. Louis, Boeing Defense, Space & Security is a $33 billion business with 59,000 employees worldwide. 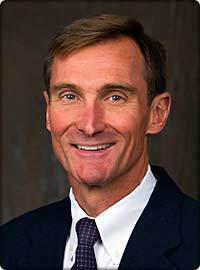 Roger A. Krone is president of Network and Space Systems for The Boeing Company, the world’s largest aerospace company. Appointed to this position in 2006, Krone leads approximately 16,000 employees in 38 states and 11 countries in providing innovative, integrated technologies to government and commercial customers. Network and Space Systems, comprised of four operating divisions, encompasses the nation’s critical space-exploration efforts, cybersecurity, missile defense, satellite development and intelligence networking – including programs such as the International Space Station, Ground-based Midcourse Defense, and the Wideband Global SATCOM system. Bringing both engineering and financial expertise to bear during his more than 30 years in the aerospace industry, Krone has held senior program management and finance positions at Boeing, McDonnell Douglas Corp. and General Dynamics. Before the formation of Network and Space Systems, Krone was vice president and general manager of Boeing’s Army Systems division, where he was responsible for military aircraft programs such as the AH-64D Apache Longbow and the CH- 47 Chinook. Krone previously served as vice president of strategic programs at Boeing’s Chicago headquarters. He has held several other business management and finance positions in Boeing’s U.S. Army Programs and Military Rotorcraft, and Boeing Military Aircraft and Missile Systems. Krone was vice president and treasurer of McDonnell Douglas at the time of its merger with Boeing, in which capacity he oversaw all financial planning, treasury operations, investor relations, insurance and risk management, and pension fund management. He also held positions at McDonnell Douglas in information technology. He joined McDonnell Douglas in 1992 as director of financial planning after a 14-year career at General Dynamics, where he held positions in program management, engineering and finance. 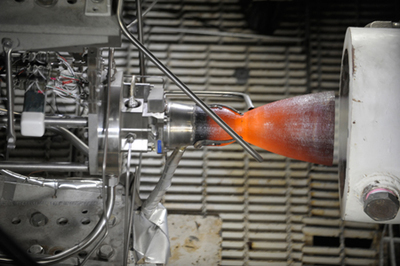 Krone earned a bachelor’s degree in aerospace engineering from Georgia Institute of Technology, a master’s degree in aerospace engineering from the University of Texas at Arlington and a master of business administration from Harvard Graduate School of Business. A Six Sigma Green Belt, Krone is both a licensed commercial pilot and a certified public accountant. He is also an Associate Fellow of the American Institute of Aeronautics and Astronautics and a Fellow of the Royal Aeronautical Society in the United Kingdom. 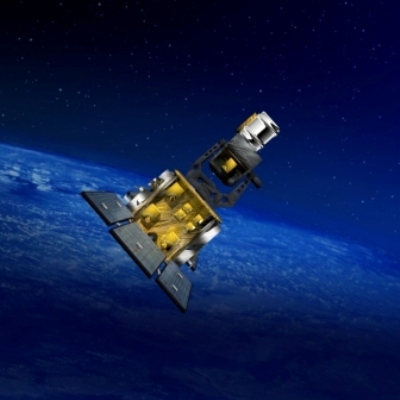 Krone is currently chairman of the board for the United Launch Alliance. He is a member of the advisory board of his alma mater Georgia Tech, as well as the board of WETA Public Television and Radio in Washington, D.C.
Krone is a long-time supporter of the Urban League and currently serves on the board of the Greater Washington chapter.